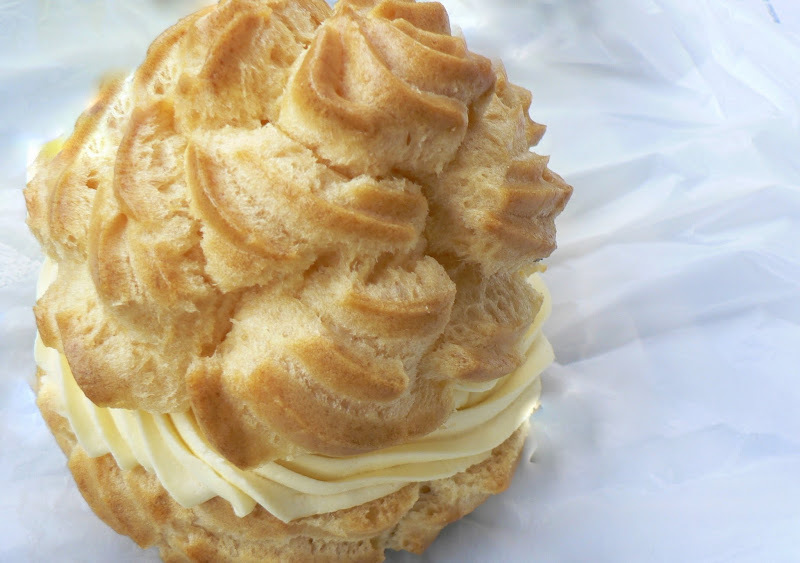 Cream puffs are light decadent and can be made entire without sugar. Try these to serve for a special outing or occasion. People will HUG your neck! Boil 1 cup water with the butter and salt in a large saucepan. Add the flour all at once and cook over low heat, stirring with a wooden spoon until the mixture pulls away from the sides without sticking. With a pastry bag fitted with a large star tip, pipe the dough into 9 mounds leaving space in between as they expand. Bake for 5 minutes, reduce oven to 350 degrees and bake for approximately 10 minutes more or until golden brown. Beat the whipping cream with the instant pudding powder and extract using electric beaters. Split the pastries and hollow them out; fill and put the tops back on.